Grantown on Spey is a wonderful small town in the Cairngorms National Park. 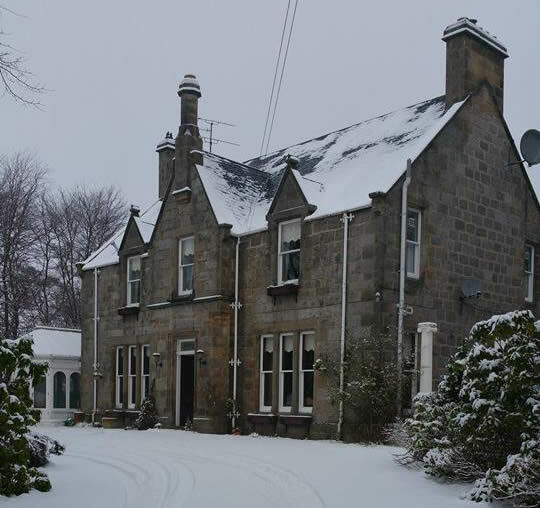 It is situated halfway between two ski areas, the Cairngorm and Lecht areas and is surrounded by ancient woodlands. It is a popular holiday destination and there are a lot of good walks in the area. It is popular with skiers and snowboarders as is a great base for all outdoor sports. Craggan Outdoors is nearby and it is easy to reach many walks, climbs and bike trails. If you prefer whisky, you will find that Grantown is ideally placed for the famous Speyside Malt Whisky trail. It has many other attractions, including a superb 18-hole golf course, a Heritage Museum and the wonderful Revack estate, which has beautiful gardens, an orchid house and a great adventure playground. Landmark, the adventure playground is easily reachable at nearby Carrbridge.